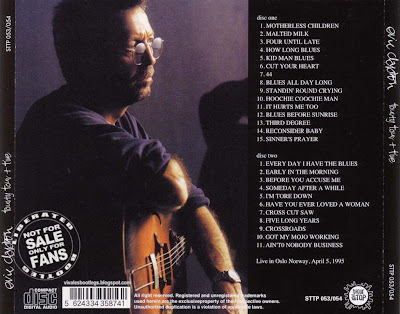 Recorded Live at Spektrum, Oslo, Norway - April 5, 1995. Excellent Audience Recording :: Bootleg Silver CDs :: Lossless FLAC. Files: 26.:: Size: 672 MB (flac). 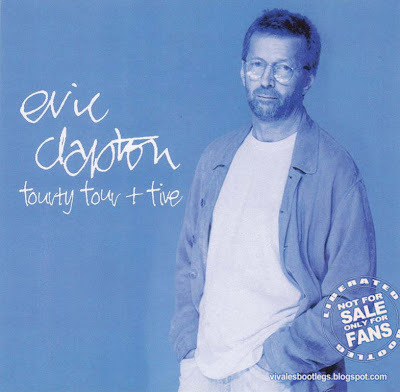 Personnel: Eric Clapton Guitar, Vocals :: Andy Fairweather Low Guitar :: Jerry Portnoy Harmonica :: Chris Stainton Keyboards :: Dave Bronze Bass :: Steve Gadd Drums :: Roddy Lorimer Trumpet :: Tim Sanders Tenor Sax :: Simon Clarke Baritone Sax. Lineage: Silvers > Kodak Silver CD-R (trade) > EAC v. 0.99 Prebeta 5 (Secure, Offset Correct) > FLAC. The cd cover of this show is really well done. 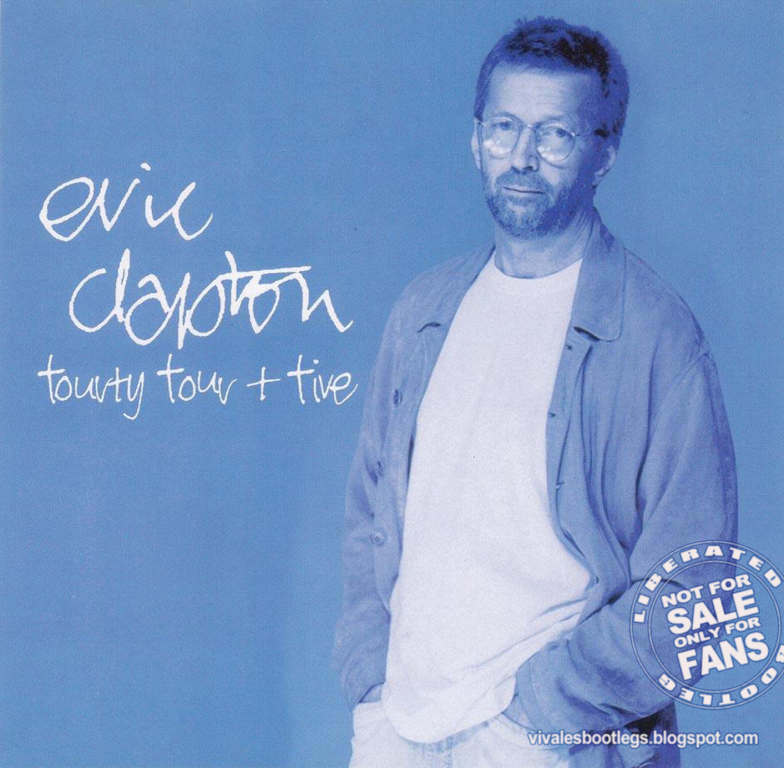 Thank you for Eric Clapton Oslo 1995 !